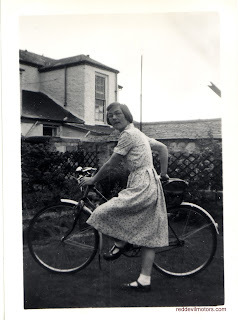 She's showing off the bicycle, not really riding today, in that dress and clean socks (no chain guard! Still not a standard feature). The bike is brand new -- see how the fenders shine and the little mud flap on the front fender hasn't fallen off yet. 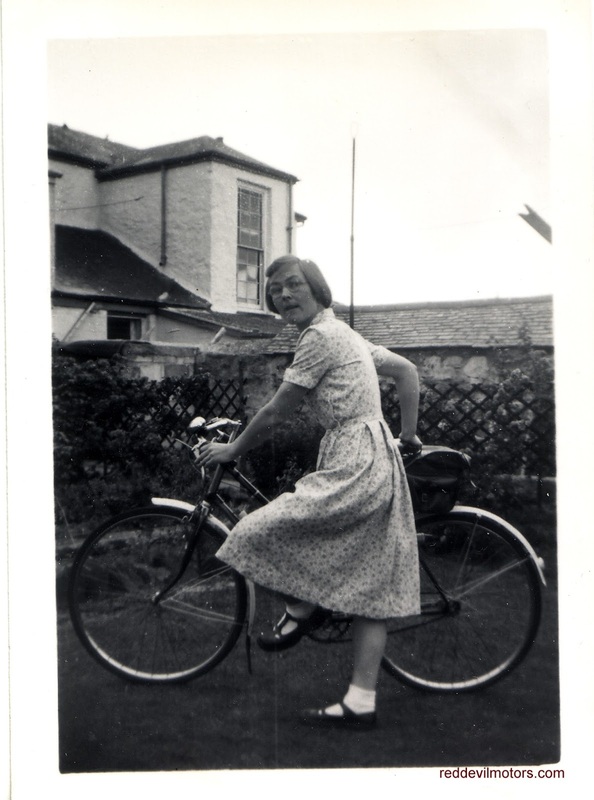 My guess is that the bike is a birthday present, and the occasion of this photo. Interesting "mary jane"-type shoes that have added re-inforcement at the instep.